Don't let the price tag fool you, this low-priced vac has what it takes to rid your home of pet hair. Despite being nearly synonymous with iRobot’s Roomba, there are a plethora of makes and models of robot vacuums. Some, like Samusung’s Powerbot line, carry familiar brand names, but many come from smaller, less-recognized companies. Surprisingly, some of the best products come from the latter camp. Case in point, the A800—just one of two robot vacuums offered by Amarey, a name that probably doesn’t ring any bells even among the most tech savvy. This bare-bones budget vacuum delivers a cleaning performance on par with some of our favorite vacuums from Ecovacs and Eufy for just $200. And it's our current top choice for picking up pet hair. 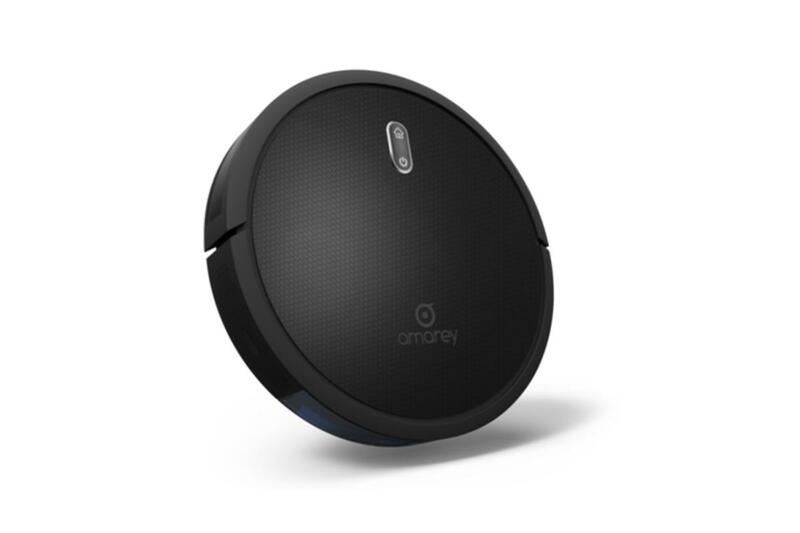 Aside from the Amarey logo adorning the A800’s tempered-glass top, there’s not much to visually distinguish the vacuum from a dozen other models. 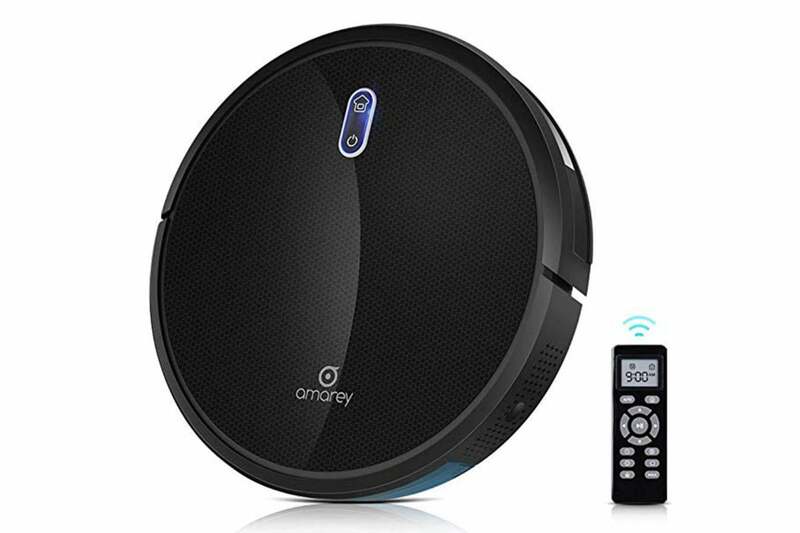 Its circular design and black finish is fairly standard, particularly for budget-priced robot vacuums, but it does have an uncommonly slim profile. With a height of 2.7 inches and a 12.7-inch diameter, it’s a bit more svelte than even the Eufy RoboVac IIs, one of our favorite budget robot vacuums. Multiple cleaning modes can be activated from the physical remote. The A800 uses a single roller brush and two spin brushes for cleaning. 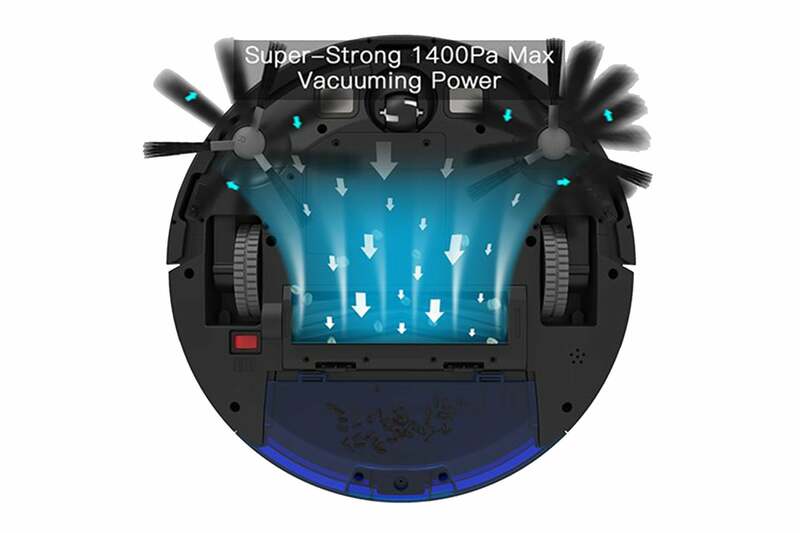 It has powerful 1400Pa suction power, which pairs with a triple-filter system for ensuring everything—including notoriously stubborn pet hair—makes it into its 0.5-liter dustbin. The vacuum has several cleaning modes—spot, single room, edge, and auto—all of which are activated from its remote control. A monochrome display shows the current time and cleaning mode. It also supports cleaning schedules, which are set using the arrow buttons on the remote’s directional pad. Before your first cleaning, you need to snap on two of the four provided edge-cleaning brushes to the bottom of the vacuum. Next, turn its power switch on and set it on its charging dock. It takes about 100- to 120 minutes to charge and will return to its dock when the battery runs low. For general maintenance cleaning, Auto mode is the most expedient, as it will have the vacuum switch between its various cleaning styles as needed. If you have pets, as I do, you might also want to turn on Max suction—available only in the Auto and Single Room modes—to better tackle hair and cat litter. The A800s 1400Pa suction makes quick work of pet hair and other debris trapped in your carpet. The first thing I noticed about the A800 is that it’s exceptionally quiet. Amarey says it operates at less than 58db, and though it’s audible enough that you never lose track of it, it won't drown out conversation or wake anyone from a nap. It’s also a notably good navigator. It moved in a fairly methodical path through my living room, kitchen, and entryway, avoiding collisions with furniture and other obstacles with a gentle tap of its bumper sensor. It transitioned smoothly from carpet to hardwood to linoleum and back again, and easily got in and out from under the couch and kitchen cabinets. The only time it got stuck was when it tried to squeeze between the toilet and the bathroom wall. At that point it beeped several times to alert me, and, once freed, it resumed cleaning. Though Auto mode was my go-to mode for daily vacuuming, Spot and Single Room cleaning also came in handy. The first is great for concentrated dirt—you set the vacuum on the area, press the spot button, and the vacuum spirals outward three feet, then back in to the starting point for a more intense cleaning. Single Room cleaning will work on one room for 30 minutes, and then stop. Each cleaning with the A800 was a revelation. I marveled at the collection of dirt, food crumbs, pet hair, paper scraps, and other debris that the vacuum pulled up from my floors, especially since little of it had been visible to the naked eye. Even better, I could do a couple of cleanings of my entire downstairs before I had to empty the dustbin. The A800’s powerful cleaning means you’ll need to haul your stick vacuum out of the closet less frequently, and that alone makes it a worthwhile investment. And its nimble navigation means you don’t have to constantly supervise it. There’s not much more you can ask from a budget robot vacuum. Should you want to stretch your dollar further though, it’s worth looking at our current top budget pick. 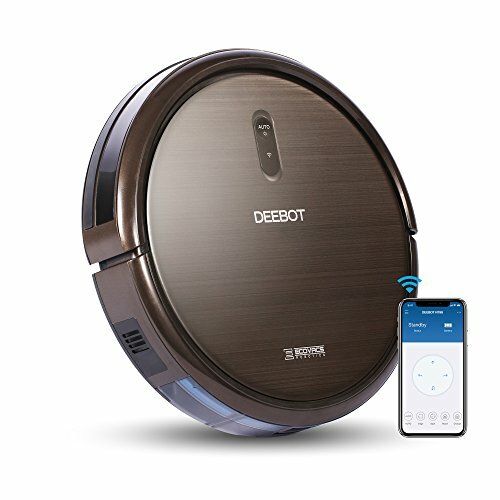 For the same price as the A800, The Ecovacs Deebot N79S boasts features usually found only higher-end models, including navigation mapping, a smartphone app, and support for smart home devices such as the Amazon Echo series. That’s a value that’s hard to beat, although the Amarey 800 is the better choice for home with pets.